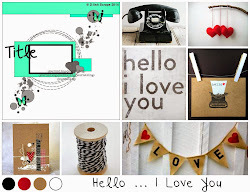 Well I'v been a bad blogger again..not posting for a while. Been flat out up at the kids school though last week with canteen, meetings and we held an Australias Biggest Morning Tea again this year. I forgot to mention during the week that Michael and I have FINALLY found a new lounge that we both like that we are going to order some time this week. I've held on to our old lounge for so long now and unfortunately it is sooooo dead and will never, ever be resurrected again and we had no choice but to get a new one. So..we're looking forward to that. Josh has bought himself a trail bike which of course has just added to my worries..LOL He seems to be doing OK with it so far and spends more time trying to unflood it than he does riding it for now!! Jack has decided that tap-dancing is 'gay' and doesn't want to go anymore. I knew he wouldn't like it!! He is still doing hip-hop though which he seems to be really good at. Glad he made up his mind before I bought those tap shoes!! Wednesday night is the District presentation night for cricket where Jye will take out 3 awards. Michael is going away with work though and will miss the presentation which is a bit of a bummer as one of the awards is the all-rounder for all of the Under 10's for the whole district which is an awesome achievement considering he has only played 2 seasons. I'll have to get heaps of photos. I'm well on my way with my 4 Masters tasks..I've started my single layout which I'm pleased with so far. My monogram is almost finished and my BTP item is looking really good..LOL..even if I do say so myself. I haven't started the double yet though but I have some pics in mind. Last night I was going to make spaghetti for dinner and Michael turned his nose up at that. So he went and bought seafood and cooked me chilli, garlic prawns, 1 dozen oysters kilpatrick..then steak, chips and deep fried battered onion rings with pepper sauce. It was scrummy!! Tonight I'm making a roast pork dinner. Well..thats it for me at the moment. Going to get the washing off the line and maybe do some more knitting tonight..LOL I'm knitting all the boys cricket vests..hopefully I'll get them all done before the outdoor season starts. 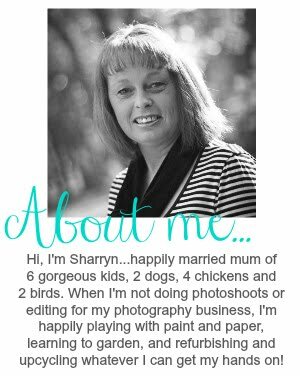 Hi Sharryn....sounds like your life is very hectic thats for sure...and you are powering through the Masters entries...I wish I had as much done as you...sob sob. Knitting vests....OMG...I would need to have started that when they were born to have them finished in time.